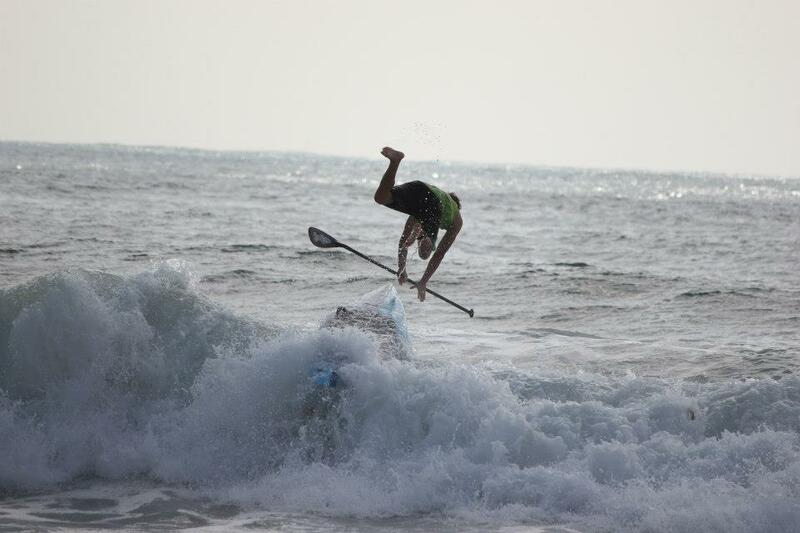 Take a look at the chaos and carnage that went down in Sydney yesterday, where the Paddle To Battle MS SUP Race delivered plenty of waves for the paddlers, plenty of entertainment for the spectators and a whole lot of cash for charity. Solid 4-6 ft sets were rolling through Collaroy Beach. The beach was closed for swimming. If you got out the back without getting your hair wet you were doing very well. It was epic fun, at least for the crowd watching on the beach. Conditions were so good (or bad, depending who you were) that Paul Jackson even managed to snap his ultra light prototype board clean in half during a qualifying heat, before swimming into the beach, changing equipment and still managing to sneak into the final. It was all for a good cause though, with the event being a fundraiser for Multiple Sclerosis research. In total the inaugural Paddle to Battle MS SUP Race scooped up $26,000.00 for charity, which is more money than the biggest SUP races in the world give out as prize money. So it was an awesome effort by the organisers, with the entertainment out in the water simply the icing on top. Elite Race winner and Starboard’s most underrated paddler, Beau O’Brian, even donated half his winner’s cheque to the fundraising efforts (even more impressive considering the Gold Coast crew had to buy return airfares just to make it to the start line). Beau took out the final ahead of fellow Gold Coaster Jake Jensen, while young local boy Toby Cracknell upset some big names to round out the podium. Meanwhile in the women’s race it was Terrene Black (third in last year’s Molokai) who survived the carnage to claim the victory. So check out the drama and excitement below, then scroll down past the photos and video for full race results.